As someone who's spent much of my life living in small surroundings, I can vouch for the importance of ceiling height. Our apartment in Manhattan was only about 500 square feet; in Brooklyn we topped out at 650. With two adults, two children and two cats, space was tight. But those homes never felt oppressive to me. Part of that came from our constantly editing our belongings, so that clutter was kept to a minimum. And part of that came from the blessedly high ceilings we had in both those spaces. One: you'll notice that all these examples have some sort of detailing on the ceiling, either paneling, rafters or beams. This is largely what takes them out of cheesy 80s cathedral ceiling land and brings them to a place of timeless cool. Good news if you do have one of those unadorned vaulted ceilings, though: faux beams and paneling are easy to be had, and will give you that same neat effect. 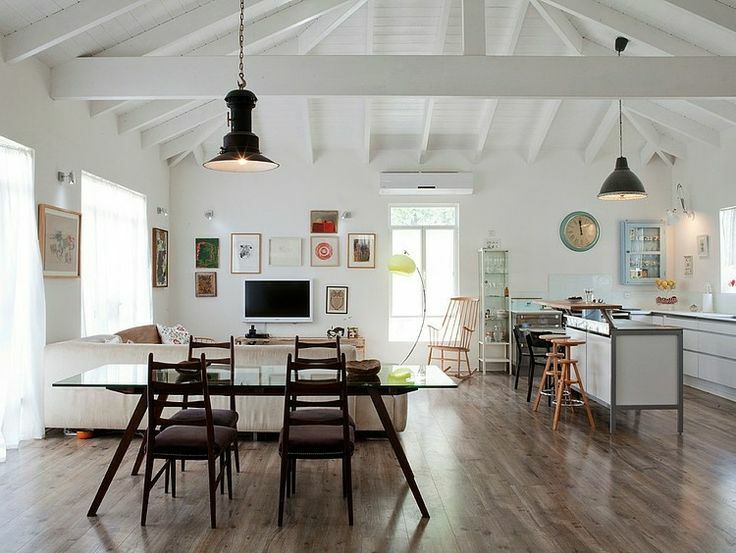 Two: this look tends to look best with white or wood tones on the ceiling and walls. I think this is because a neutral palette helps to balance a ceiling that's visually commanding. Three: vaulted ceilings are not very energy efficient. You're creating a lot of extra space to heat or cool. Assuming you're adding this architectural feature to make a small space feel bigger, though, I think you can offset some of your environmental guilt. You're already helping the earth by living in a small home. Four: if you raise your ceiling to expose the roof framework, you may need to change out the insulation in your attic. To get the most height, you'll need to use a thin, highly efficient, rigid roof insulation, like Polyiso, which takes up very little space between your rafters. You can then panel or drywall below it. It will cost you more than some other insulation types, but the extra inches you gain make it worth it. 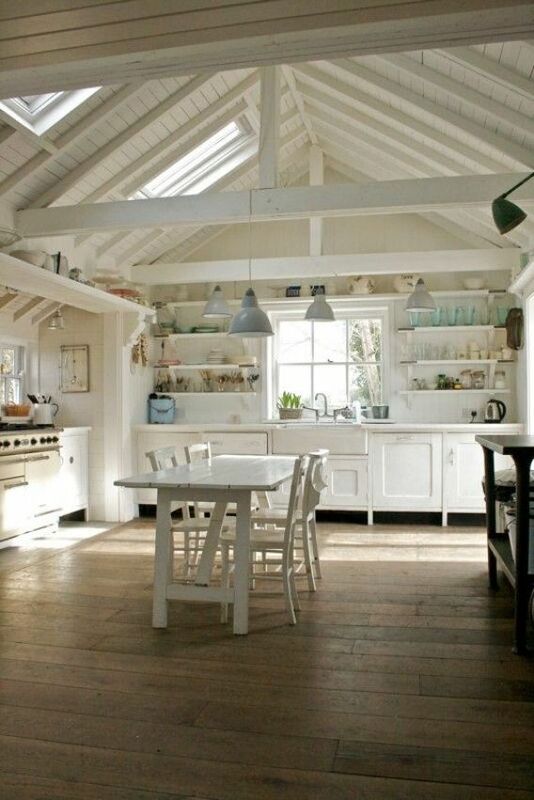 Five: if you're already messing with your ceilings, it's tempting to put in some skylights. Not only do they add wonderful light, if you get ones that open, they can be used to release heat in the summer, too. They do have one small drawback: they're more inclined to leak than a solid roof. This seems to me like a risk worth taking, but make sure you have a trustworthy contractor to do the work. Six: if you vault an existing ceiling, you need to ensure your house maintains adequate structural support. Those wooden beams above your ceiling that run parallel to the floor? They're called joists, and they help brace your walls so that they don't cave in (or open out). Some homes are built with a lot of joists, and to get a less cluttered look, you may want to remove a few. In that case, you'll need to reinforce the joists you keep, and you'll definitely want to consult an architect or engineer. In fact, that's true when doing any work of this type. 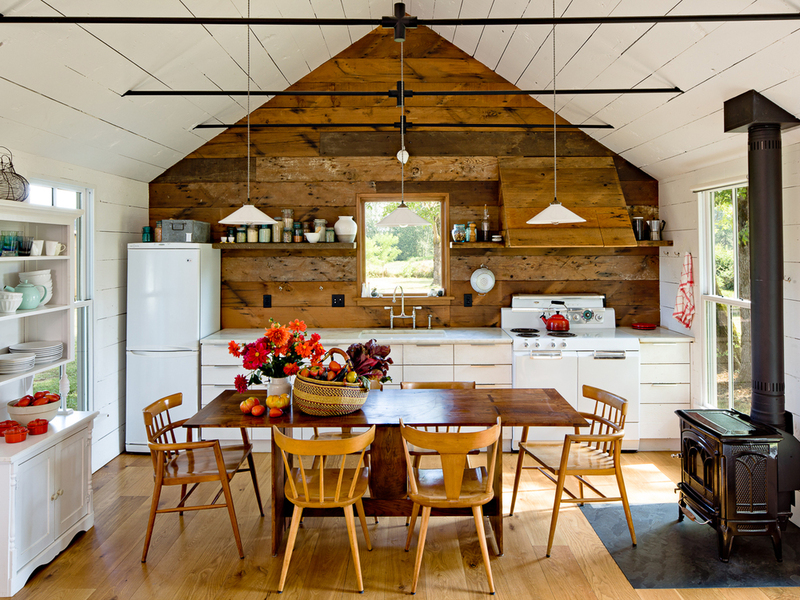 An alternative, if you don't like the look of joists, is to use metal cables and ties, like designer Jessica Helgerson did with her home. I happen to love this look. There's a frankness to it I find appealing: it really makes you think about how the house is constructed. It strikes me as unusually graceful, and I enjoy the contrast of the black cables with the white walls. In fact, this whole house is wonderfully charming. Would you believe that a family of four lives in it comfortably, though it is only about 540 square feet? 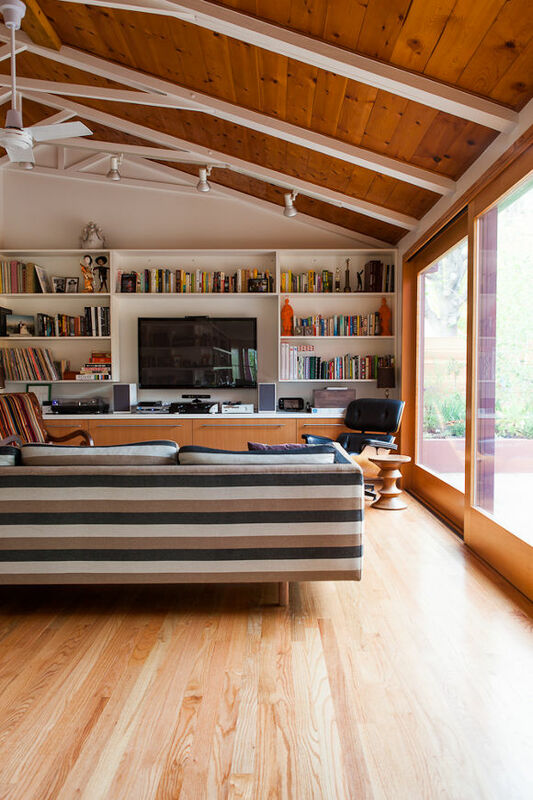 That vaulted ceiling not only makes the whole space feel bigger, it creates a small loft space, too. Helgerson tucked a tiny master bedroom in there, above the unlofted rooms in the house. 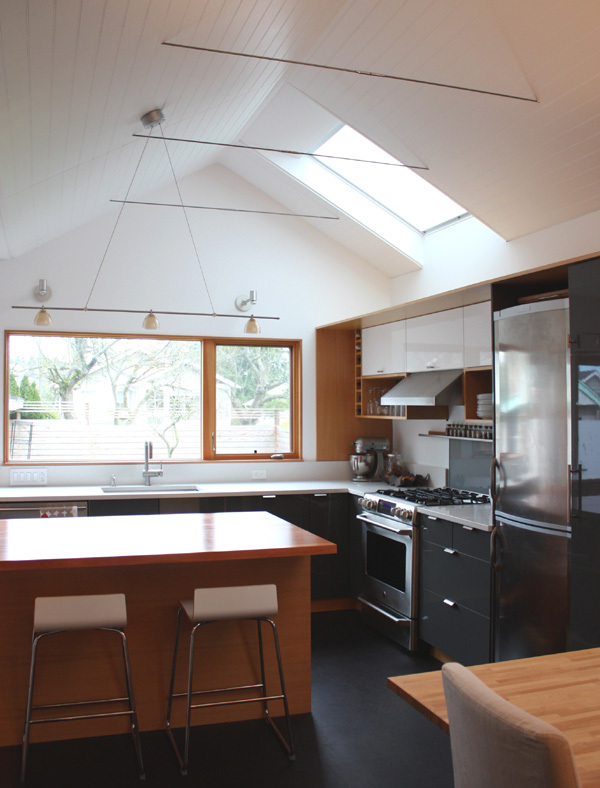 Studio Zerbey did something similar with their home, a Craftsman in Seattle. They did almost all the work themselves, and their blog chezerbey.com details the whole process. 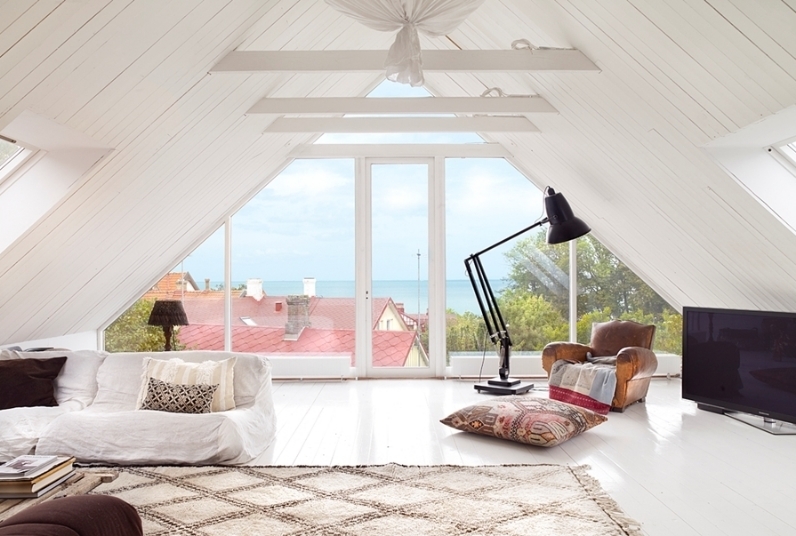 It's a must read if you're considering vaulting the ceilings in your own space. Cabling systems need not be simple, either. Check out this beauty from WA Design Inc..
Lofting a ceiling isn't an easy--or inexpensive--change, but the payoff can be massive. It packs a visual punch like nothing else, and can make your whole home feel airy and bright. If you want your small home to live large, sometimes the best way to go is up.